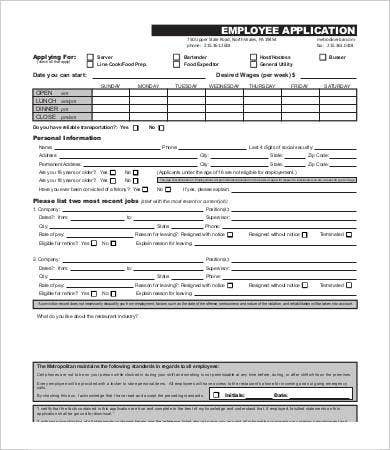 An employee application or application form usually includes a form or compilation of forms that employers ask all applicants for a position to fill out. 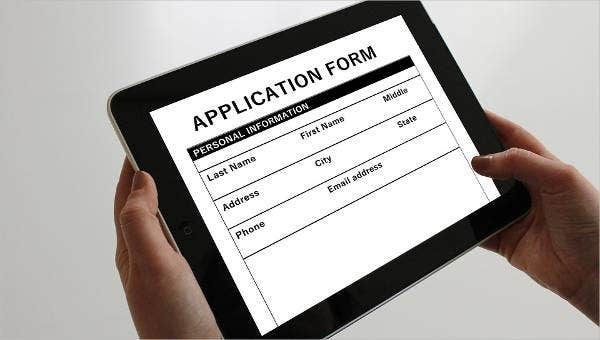 An employment application is usually filled out offline with a pen-and-paper method or is also done online. 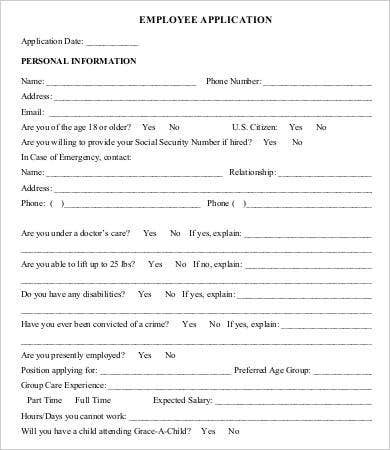 It provides a constant format with the same set of questions that applicants must answer for the said position. 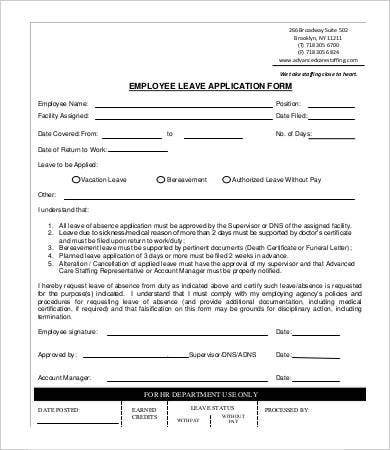 This collection, among many others on our website, offers precreated employee Application Template that you can use right away. This template is ideal for recruiters, employers, and to anybody who needs it. Using this is so efficient and less time consuming. Take a look at the 9 templates we included in this list below. Regularly gather the same in the same format from each potential applicant. 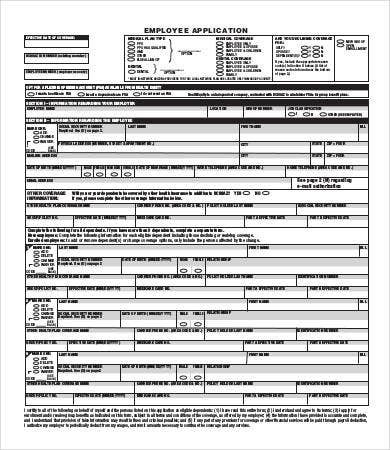 With an employment application, employers achieve uniformity of information gathered. Collate information about the candidate’s credentials that they would not usually include in their resume or cover letter. Acquiring the candidate’s signature affirming that all statements on the employment application are authentic. 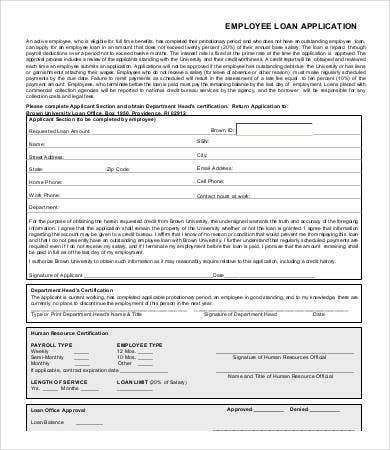 Acquiring the candidate’s signature allowing the employer to check the authenticity of all data given on the employment application, and that includes degrees achieved, employment history, education background, and so forth. Obtaining the applicant’s signature to affirm that he or she has read and understands and agrees to the policies and procedures of the employer that are carried out on the employment application. Make sure that your employment application adheres to the employment law in your state or country. 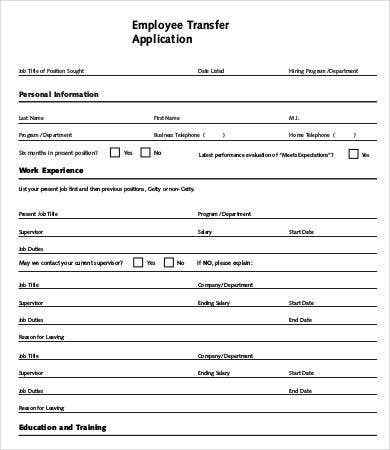 For many businesses, applications for employment can be filled out online and do not need to be submitted in person. 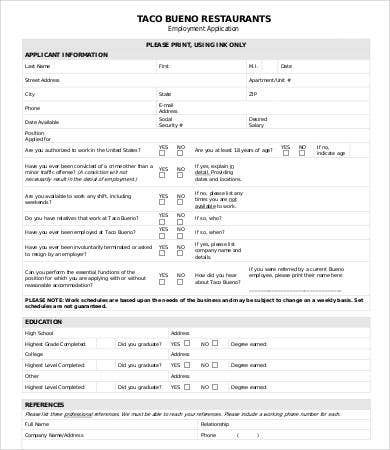 Nevertheless, it is still recommended that candidates carry a copy of their application during an interview. 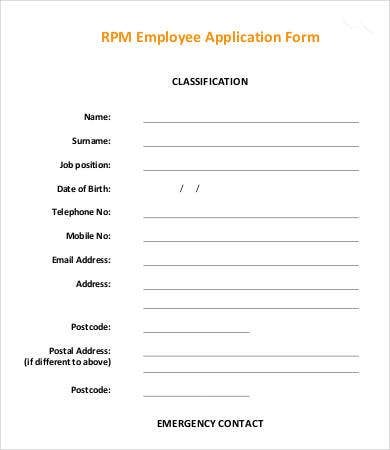 We understand the level of inconvenience when it comes to preparing Job Application forms for an interview both on the employee and employers’ side. Hence, we’ve created this page for you to utilize. 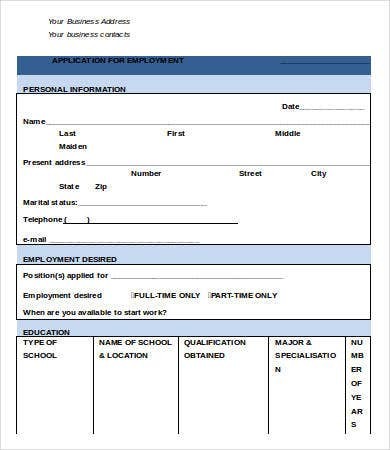 Here you will be able to find an array of employment application form templates to choose from. Each comes with different content so that you have multiple options to select and one that will also match what you need. Like most of our templates, these come in highly editable Microsoft Word or PDF formats so that you can also edit (them if there is a need to) and print them immediately. You can download them straight to your laptop or computer anytime and anywhere. 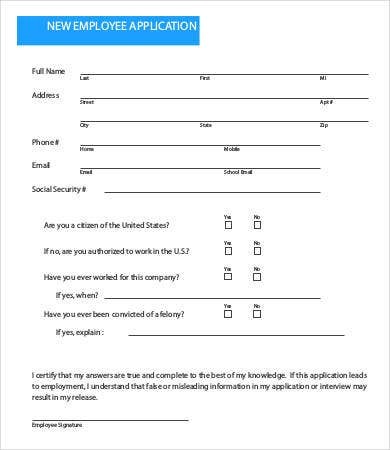 Also, these templates can be reused over and over again should you open up new positions in your company. So what are you waiting for? Go ahead and make use of these templates. You can also share this page with your friends, and we are sure they will appreciate these.